On Friday, Cassadee Pope dropped her latest release, Summer EP! 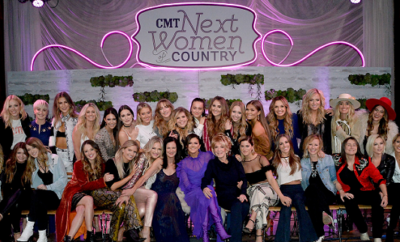 The four track EP was preceded by her mega-hit duet with Chris Young, “Think of You,” that released this past January! Cassadee also treated her fans to a music video, for the title track of the EP (check that out below)! Each of these singles are going to be your anthems for this summer and I’m going to break down exactly what kind of anthem they should be for you. Summer EP starts off just the way it should, with the extremely catchy title song, “Summer!” This song is what plays in my head every time I drive with the windows down at sunset in perfect weather, enjoying the breeze and life. If my life were a movie, this would be the song that would play during the montage of me driving in the backseat of a car with my friends causing trouble and enjoying summer (You can’t say you haven’t had that daydream!)! I rank “Summer” as the “soundtrack to my summer” anthem! “Piano,” the second track off of Summer EP, is extremely relatable. It uses a beautiful metaphor and, in my humble opinion, can be named every music lover’s breakup anthem! Even though it is no fun to be played when it comes to relationships, who doesn’t want to think of their heartbreak as a piano? It softens the blow quite a bit. The first thought I had while listening to “Kisses In Airports” is people-watching. Therefore, “Kisses In Airports” is this summer’s people-watching anthem! Whether it’s an airport, a train station, or a mall, I constantly find myself wondering: Where are these people going? Who are they going with? Why are they here? This song perfectly describes these questions, as well as your own experience with leaving a loved one at the gate. It also poses the fact that we don’t tell people we love them enough, so let’s also dub this the summer 2016 “spread love” anthem! I’m a sucker for good guitar solos and “Alien” fulfills that need. It’s brief, yet enough to make you respect the rock! I found my favorite lyric of the whole EP in this song: “Got a church pew heart and a rock n’ roll mouth.” At first listen, “Alien” seems like every high school girl’s anthem of self-discovery, but as a 22 year old post-grad, these lyrics definitely still speak to me! We’ve found our anthem for self-discovery at any age! 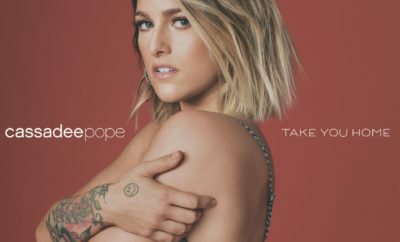 Cassadee Pope is making major waves in the country world and Summer EP serves as a very welcome addition to her already impressive discography, and my summer.